Brand identity for Indigo Asset Services. Indigo is invested in building relationships that endure with families looking to preserve their legacy of property asset holdings on behalf of an incoming generation. The indigo dye’s long history of luxury and craft helped to build a vibrant story around the company’s purpose and its founder’s personal connection to the South. Thus, the corporate brand exudes discreet luxury alongside remarkable personal service – with personality. The identity package is a study in subtle but careful detail of engraving, gold and white foil, and duplexed paper in the perfect indigo blue. 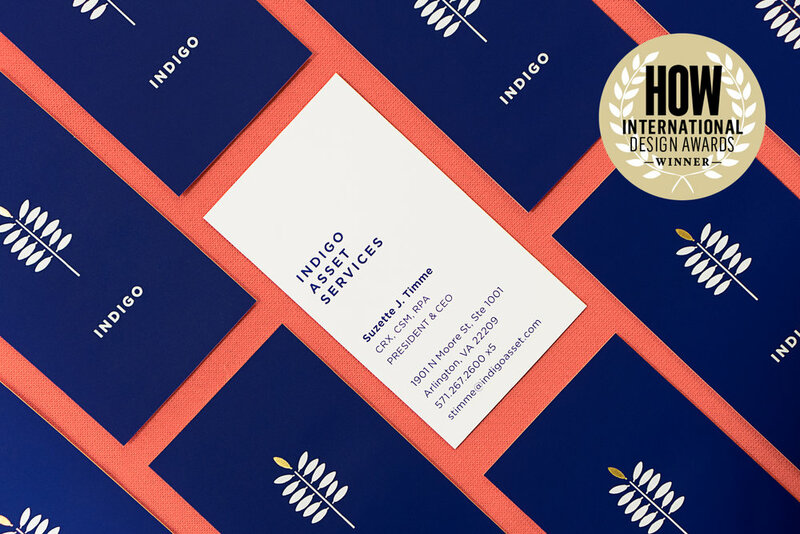 Hickok Cole Creative delivered a brand identity package to Indigo Asset Services that included strategy, art direction, copywriting, and design and production. 2019 HOW International Design Awards! The identity package is a study in subtle but careful detail of engraving, gold and white foil, and duplexed paper in the perfect indigo blue.